A short sale as a sale of real estate in which the proceeds from selling the property will fall short of the balance of debts secured by liens against the property and the property owner cannot afford to repay the liens' full amounts. The lien holders would have to agree to release their lien on the real estate and accept less than the amount owed on the debt. Any unpaid balance owed to the creditors is known as a deficiency. Short sale agreements do not necessarily release borrowers from their obligations to repay any deficiencies of the loans, unless specifically agreed to between the parties. Information about mortgage payment assistance, short sale assistance and principal reduction assistance programs for qualified Arizona homeowners. Financial help for qualified distressed homeowners pursuing a short sale. If your mortgage is owned by Fannie Mae or Freddie Mac, you may be eligible for a Home Affordable Refinance and take advantage of lower interest rates. IF YOU ARE IN THE MILITARY WE CAN HELP YOU SHORT SALE YOUR HOME!!! Have questions or need more information? 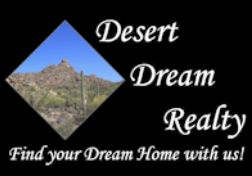 Fill out the form below or contact Desert Dream Realty at 480-252-8300.